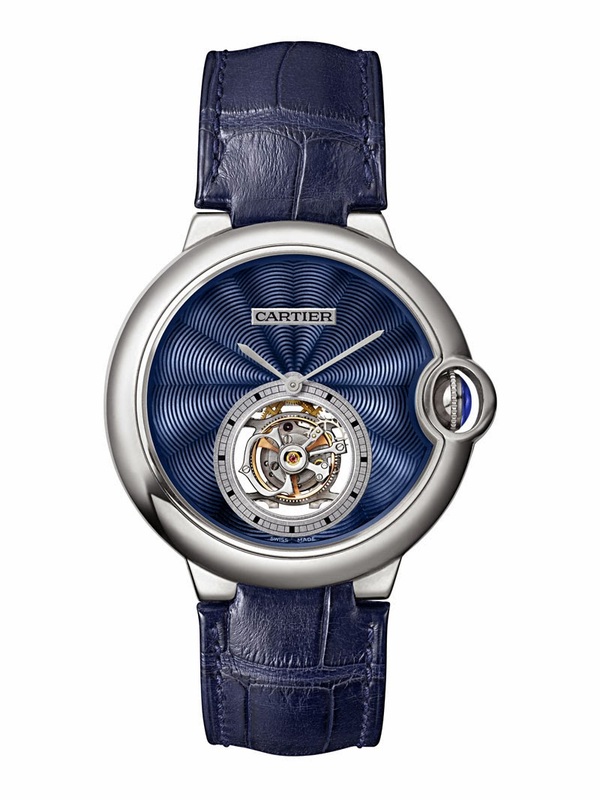 A limited series of 100 numbered pieces, the Ballon Bleu de Cartier Flying Tourbillon presented by Cartier at the SIHH 2014 features a precious with a translucent blue enamel covering the guilloché decoration. The black hour circle on a sunray base frames the flying tourbillon with seconds indicated by the C-shaped Tourbillon carriage. The sword-shaped hands are made of steel. 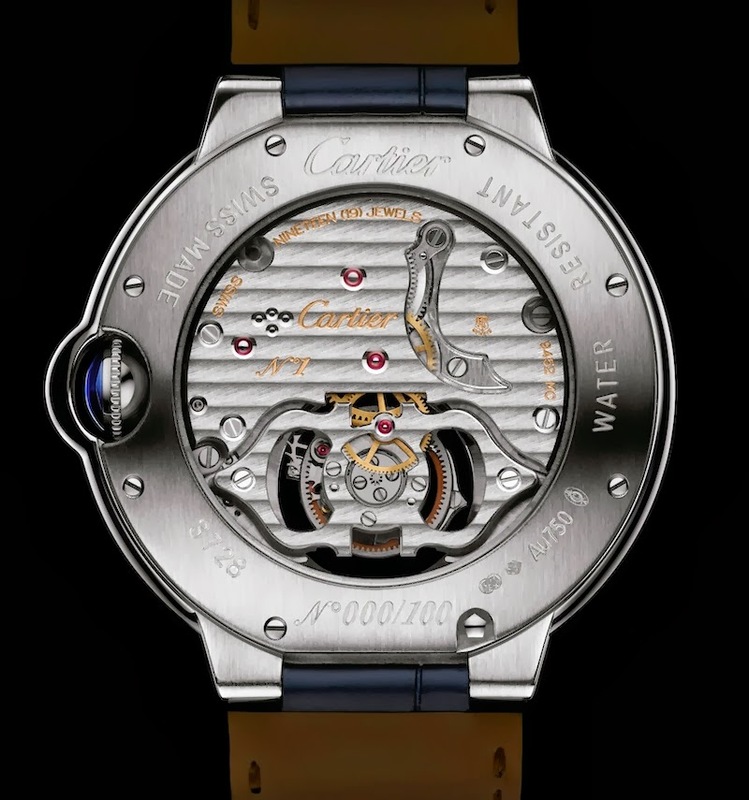 This Ballon Bleu model is presented on a white gold case with a diameter of 39 mm with a height of 11.4 mm with the typical Cartier crown set with a blue sapphire cabochon. 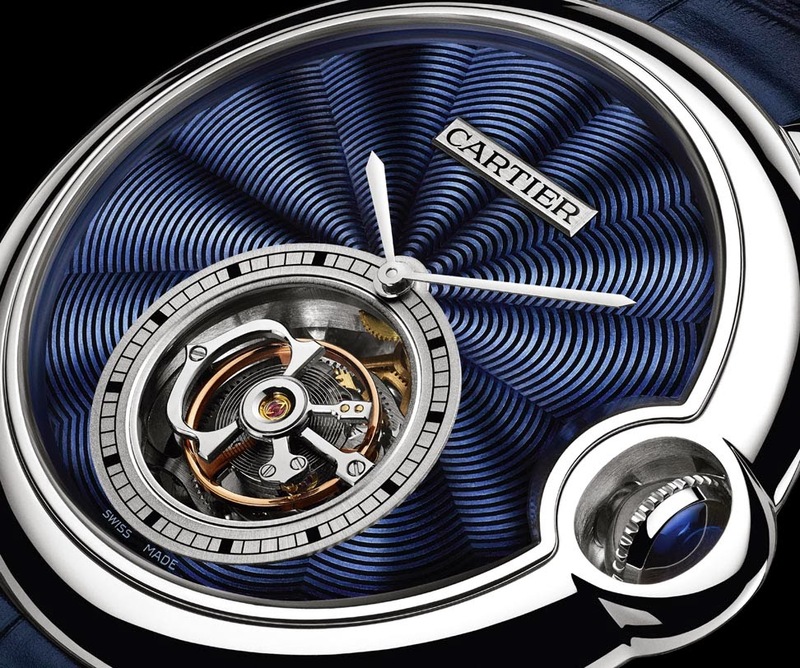 To confirm the exceptional level of finishing, the Ballon Bleu de Cartier Flying Tourbillon is a "Poinçon de Genève" certified timepiece. The dark blue alligator leather strap matches the colour of the dial.